North Shore Bomber Nicky Steele for creating a new football position by playing out of Half-back BBQ! In community football everyone is always willing to help, even when they are meant to be on the field. 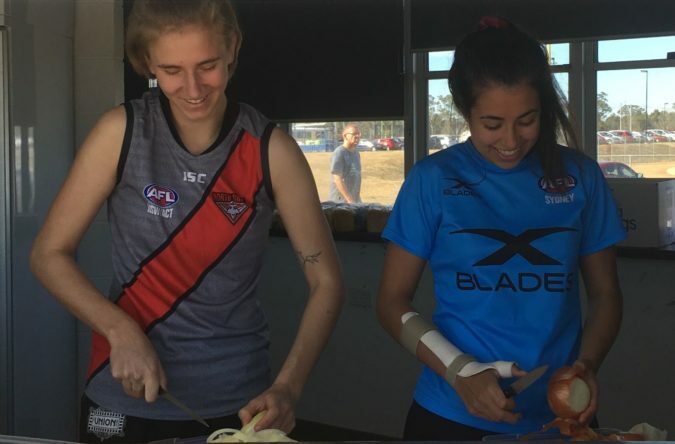 On the weekend Nicky was meant to be playing the second half of the Women’s Division Two match against the UTS Shamrocks but instead stepped in to help out in the canteen. 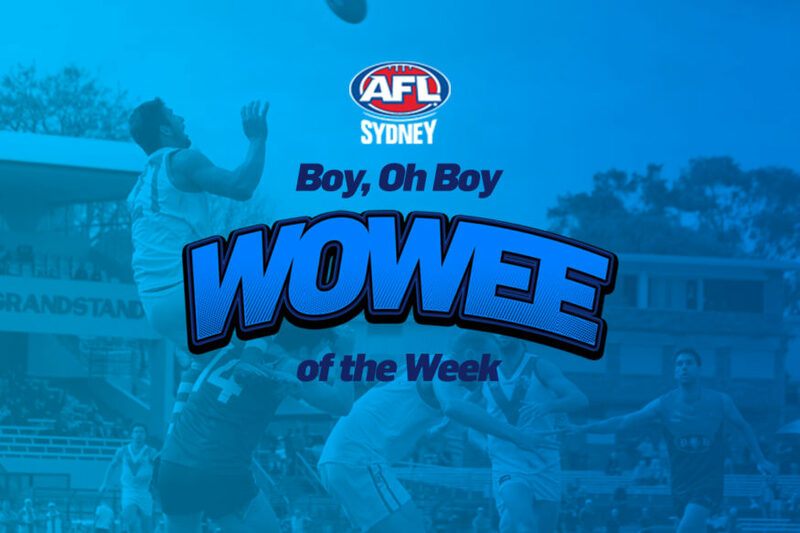 For this selfless act, we award the Bombers a Bacon and Egg Roll and this weeks Boy, Oh Boy Wowee of the Week. 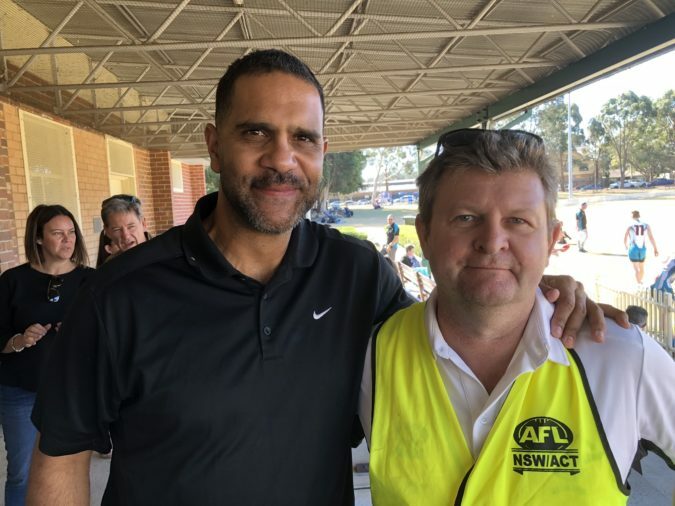 Pennant Hills Demons for Tony Shaw’s visit to Mike Kenny Oval. On Saturday night the Pennant Hills Demons hosted its Annual Sports Dinner with the guest speaker Tony Shaw, the former Collingwood Magpies premiership player and coach. 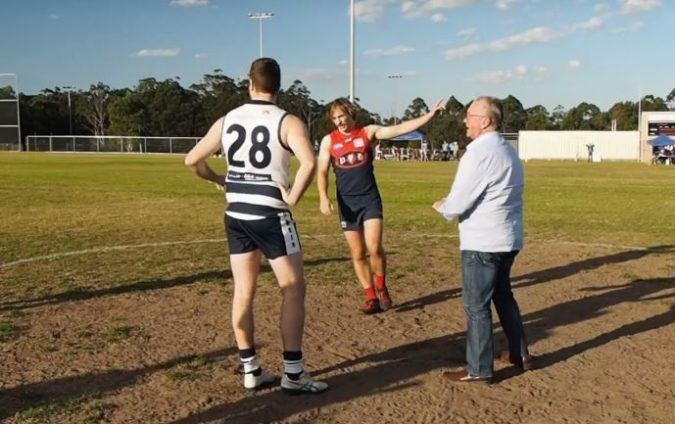 Prior to the Gala Dinner event, Tony attended the Premier Division match between the Demons and the Camden Cats and preformed the coin toss before the start the match. In the evening, Tony Shaw regaled the club faithfuls with his footy tales and proved to be a very eloquent and engaging speaker. A great night was had by all. Thanks to Tony, for this you have won the Pennant Hills Demons a Boy Oh Boy Wowee of the Week Nomination. South West Sydney Magpies for their Past Players and Officials Day at Rosedale. 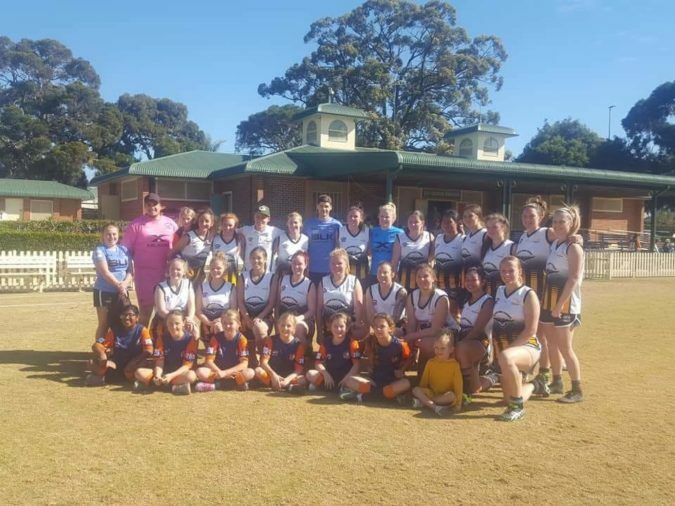 On the weekend Rosedale Oval was the place to be! Sydney Swans 300 game legend Michael O’Loughlin was around watching the footy and taking photos with club volunteers, the Bankstown Bullsharks Juniors were down to support the South West Sydney Women’s Team and the Match Ball and Trophy from the 1949 AFL Sydney Grand Final was at the ground. 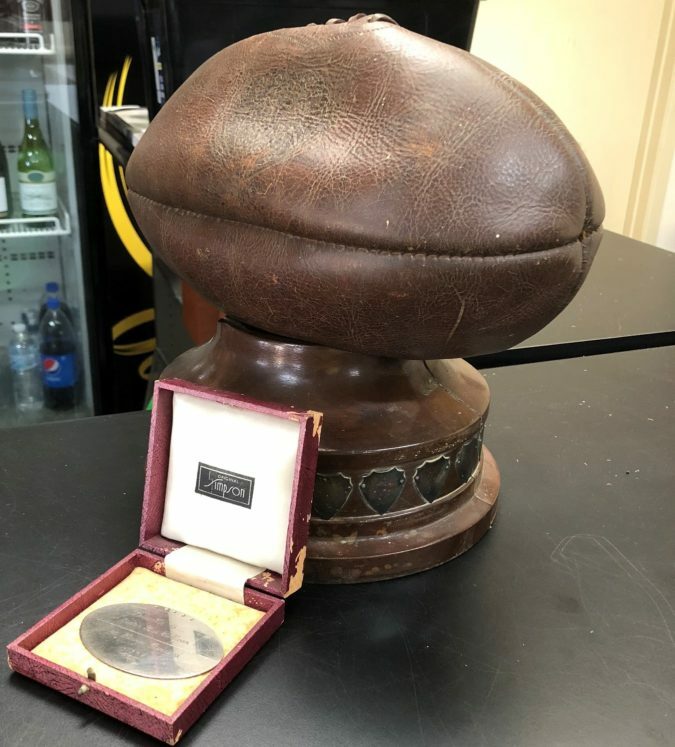 This Trophy was awarded to club captain Leo O’Sullivan, founder of the club in 1946. For this celebration of the past and the future we award the Magpies a Boy Oh Boy Wowee nomination.